Sunflower seeds are packed with essential fatty acids and minerals like most seeds, making them a great part of any diet. Many sunflower seeds come with the seeds on with a hefty layer of salt, but there is nothing better than raw or sprouted sunflower seeds in terms of taste and nutrition. Benefits: Sunflower seeds are a fantastic source of Vitamin E, an antioxidant important in scavenging free radicals, especially those associated with cholesterol. The Phytosterols in sunflower seeds also play an important role in regards to cardiovascular health by lowering the blood cholesterol. It is also a notable source of Magnesium and Selenium. Magnesium plays a role in bone development, and also plays a role in nerve impulses and muscle tone. Selenium has been studied for its ability to stimulate liver detoxification as well as cancer protection. 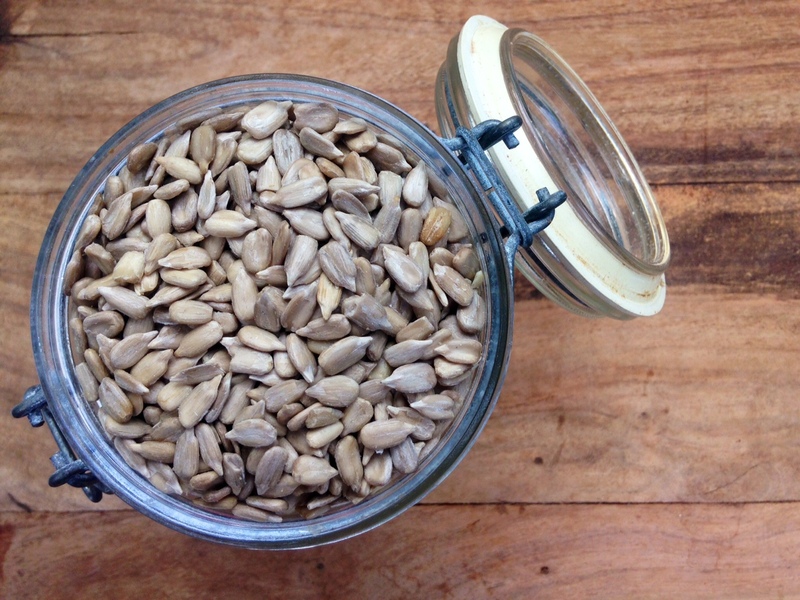 How To Use: Sunflower seeds are an amazing addition to baked goods and salads, providing a mild crunch and nutty flavor, while also being soft and easy enough to chew. They are also great to add to trail mixes, eat as a snack, or make homemade seed milk or seed butter. * *It’s best to store seeds in the fridge or freezer to keep them from going rancid, but fine to keep in the pantry if you will be using them within a month or two!